Thomas Lester has a diverse business law and commercial litigation practice involving municipal law, bankruptcy, business torts, commercial lending, commercial litigation, injunctions/special remedies, and debtor-creditor issues. Mr. Lester represents multiple national financial institutions in complex commercial lending relationships. He served as a bankruptcy trustee and has represented financial institutions in large workout real estate matters. In addition, Mr. Lester represents large commercial and residential developers. Among his municipal entity clients, Mr. Lester has a particular focus on representing school districts. He serves them as general counsel, and advises on school law issues, finance and litigation. Mr. Lester is also general counsel for two of the busiest general aviation airports in Northern Illinois after O'Hare and Midway. Mr. Lester also assists school districts in securing state and federal grants, and with his Hinshaw & Culbertson LLP colleagues was able to obtain the largest building grant in the State of Illinois outside of Chicago. 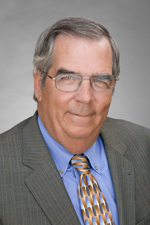 Mr. Lester joined Hinshaw & Culbertson LLP in June 1987. He is the leader of the firm's Special Assets, Bankruptcy & Reorganization Practice Group.